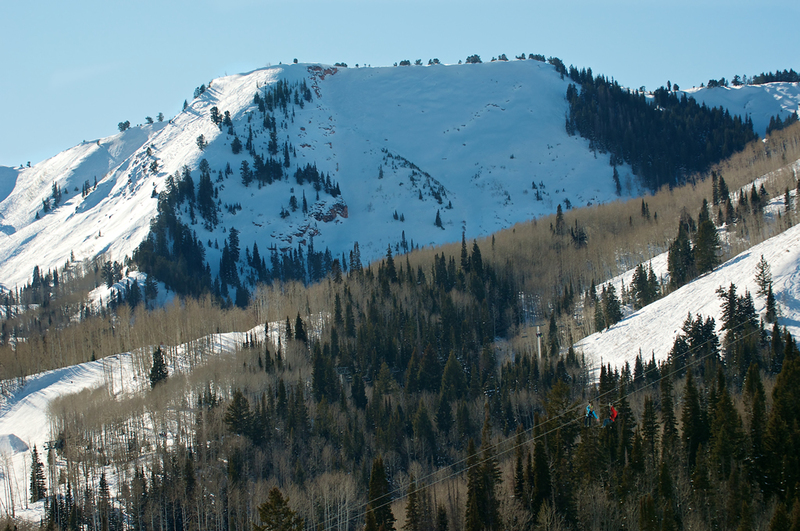 For days/hours of operation please call (435) 615-3411. 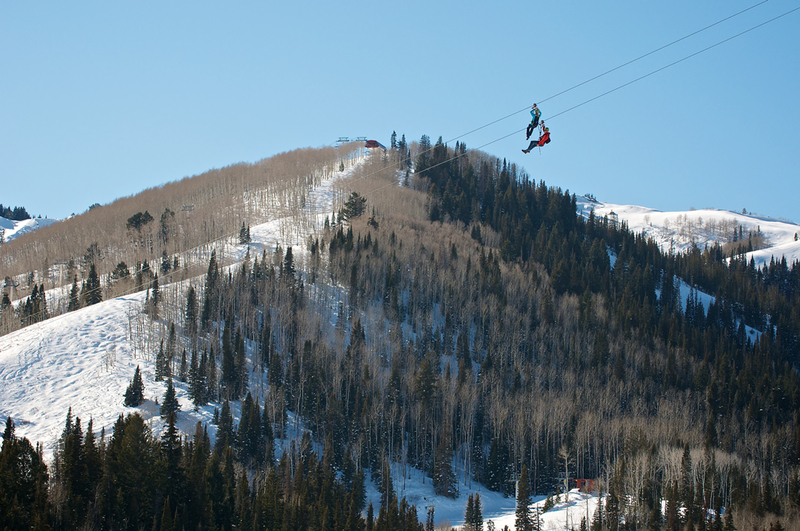 Known for its vast terrain and defining ridgelines, Park City has defined itself by expansion and improvements from the base facilities to lifts in high places. 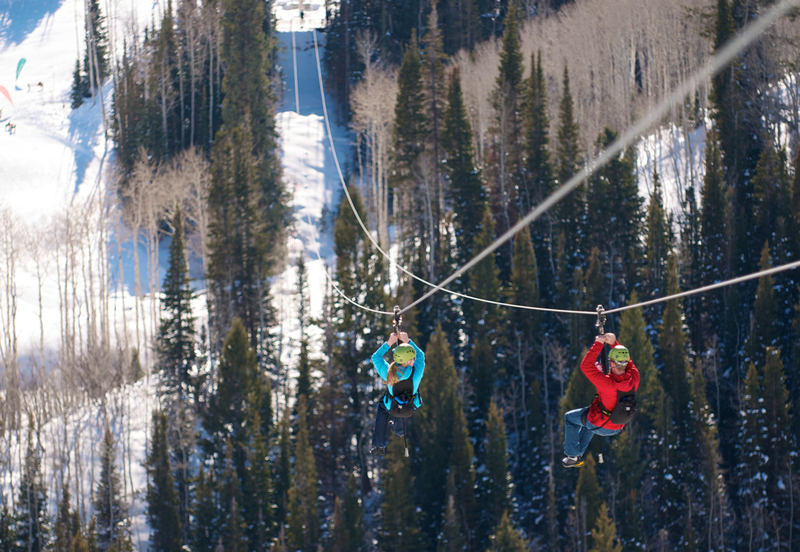 Now, even higher places can be reached with the ZipTour® zip line experience! 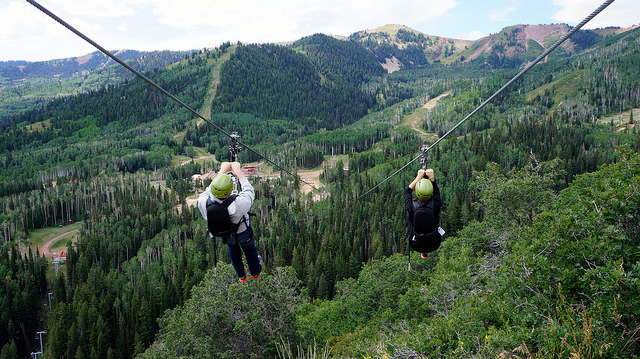 Ziplining from the Lookout Ridge to Red Pine Lodge area offers enthusiasts the closest thing to flying and an exhilarating exposure to one of the best views on the mountain. 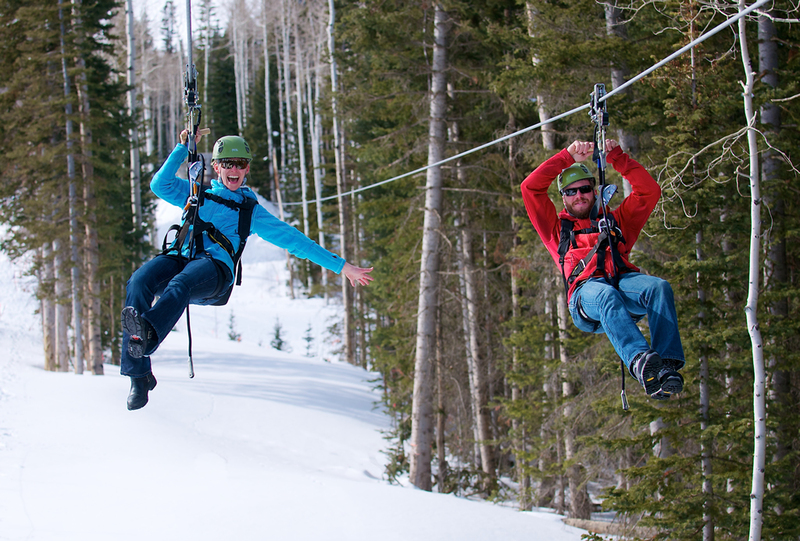 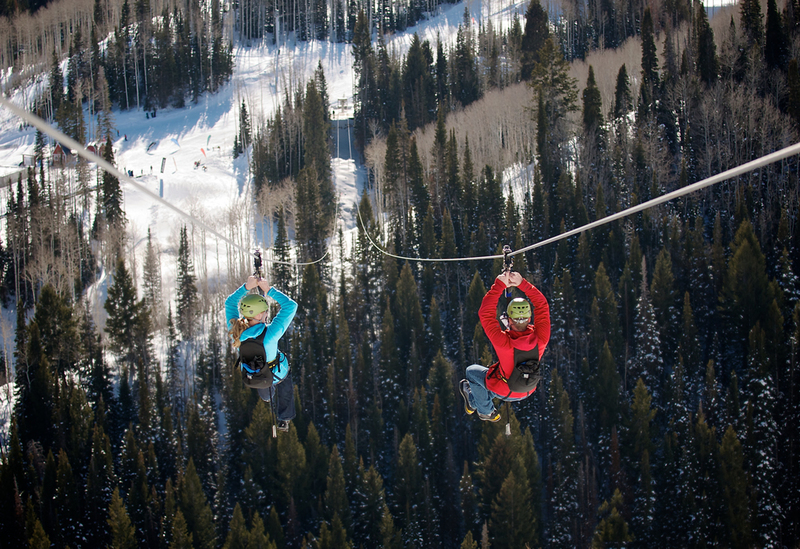 Getting started on the Red Pine ZipTour® span gives the first time zipliner and experienced alike a chance to warm up on the fun 800' ride in the midst of the Red Pine area action. 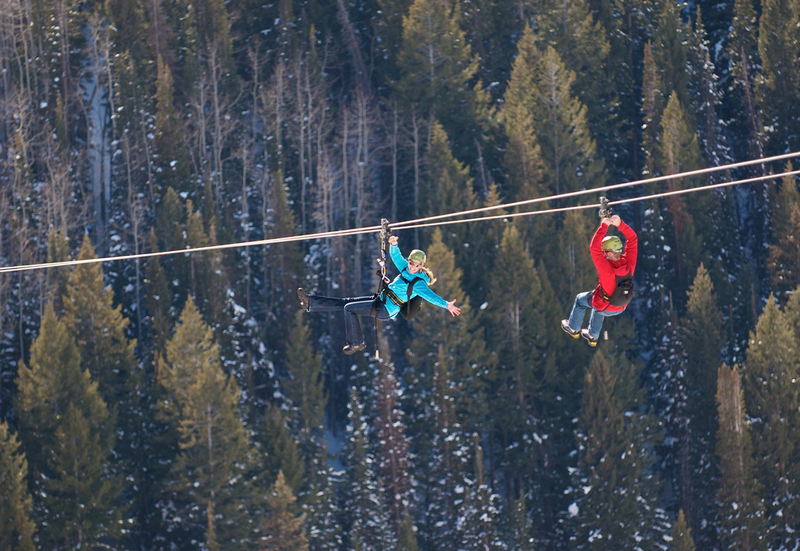 Within viewing distance from the Red Pine Lodge, this ride entices the willing adventurer to wonder what riding a controllable zip line trolley on cable over a steep canyon might feel like... then it becomes reality! 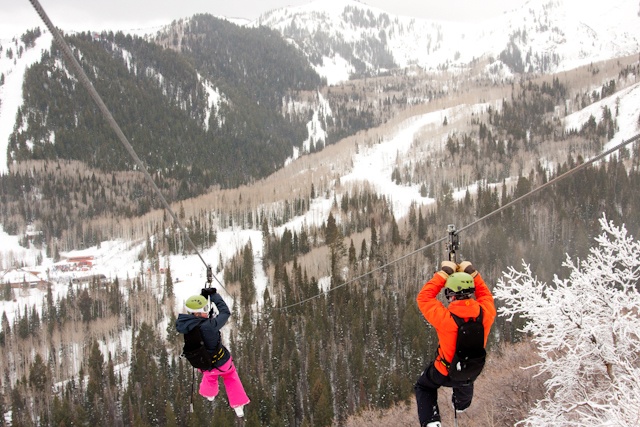 The Epic ZipTour® span starts with a chairlift ride on the Shortcut lift to the top of Lookout Ridge. 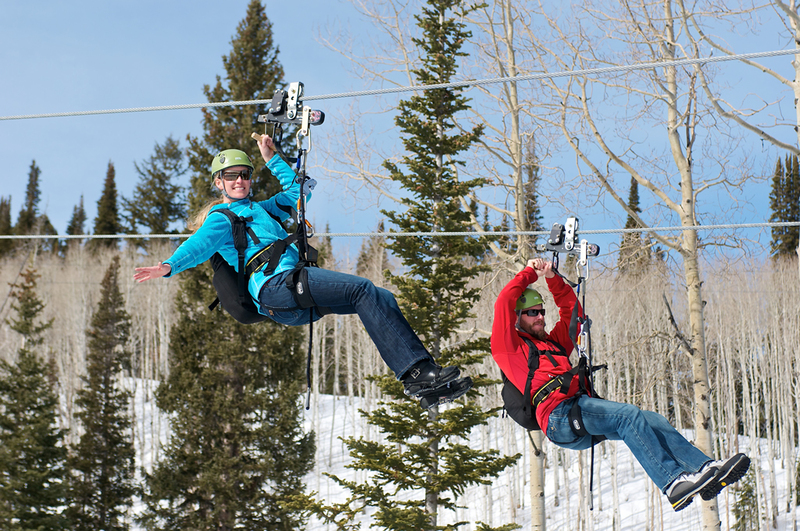 The Shortcut lift ride offers great views of the other ZipTour® participants as they fly over the canyon between the Lookout Ridge and the Red Pine Lodge area. 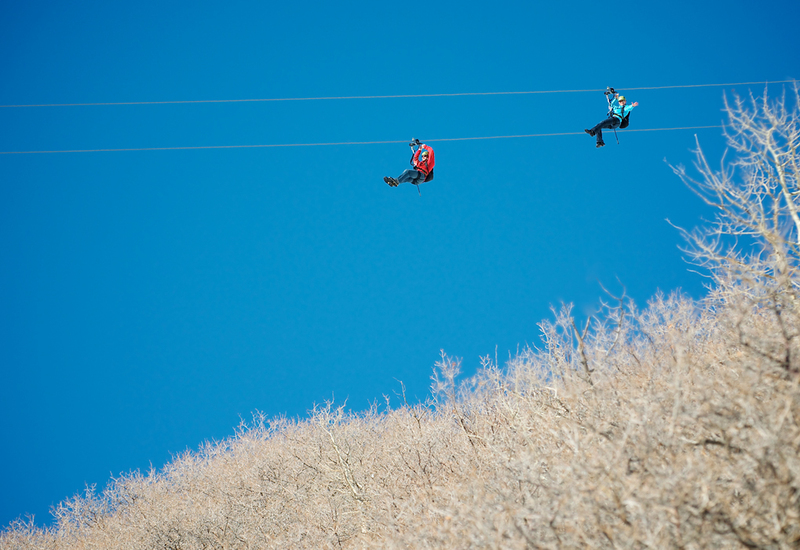 Once customers are ready to ride they zip off the launch deck beside the Lookout Restaurant and fly several hundred feet above the ravine below! This ride is exhilarating, scenic and carries participants over 2,111 feet to a landing nestled in the trees just above the Red Pine Lodge area. 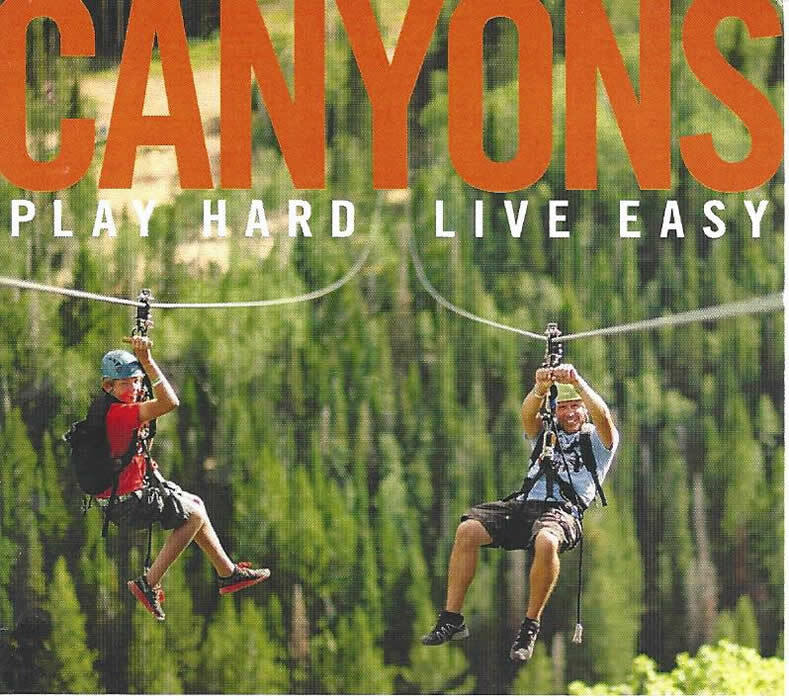 ZipTour® tickets can be purchased in the Activities Center at the Canyon Village. 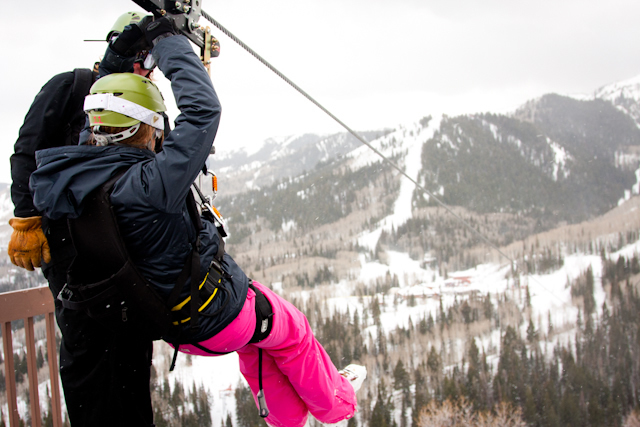 Weight: Must be between 50 lbs. 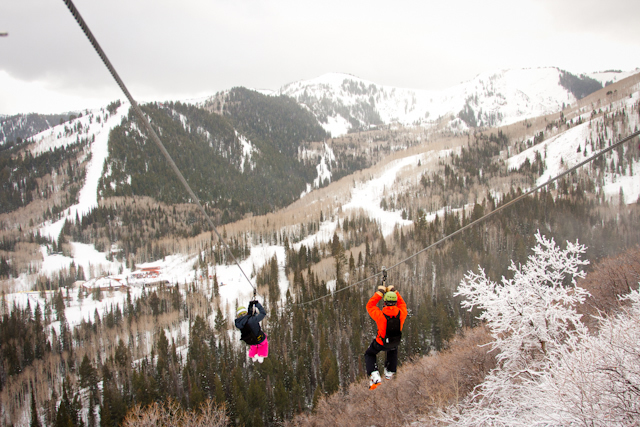 and 260 lbs. 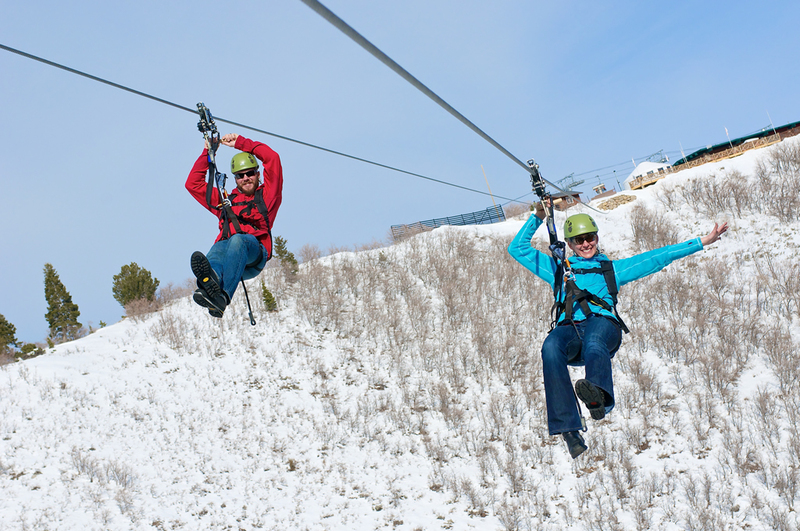 Height: Must be between 48 inches and 82 inches. 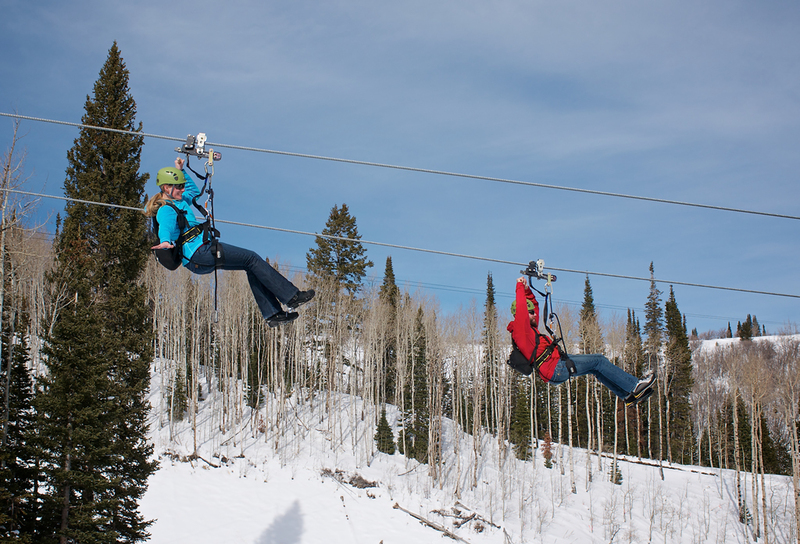 Individuals that are pregnant should not ride the Zip Tour.